Grant and Edna Jensen left this life for service in the next, as a team, the way they had lived their 74 years of married life since they were high school sweethearts at Moroni High School where Grant was student body president. After graduation they were married in the Manti Temple on June 27, 1944. Soon after, Grant enlisted in the US Army and Edna became a civilian employee. After discharge they returned to Sanpete County where they bought and ran a turkey farm until they decided Grant would pursue a Veterinary Degree at Colorado State University, They moved to Fort Collins, Colorado where they both worked hard so that Grant could achieve a Doctoral degree in Veterinary Medicine. They decided to settle down in Spanish Fork, Utah where they set up a Veterinary practice. Grant was the practicing Veterinarian and Edna was the CEO of the business. They loved Spanish Fork, put down roots and raised their five children there. They both have accomplished many goals in life, received many honors and held many positions. None of these things, however, made them the great man and woman they were. Those who knew them best knew they genuinely cared about other people. They refrained from judging and tried to give everyone the courtesy of expecting the best. They forgave. They honestly tried to live the precepts of the Gospel of Jesus Christ they revered. They served two missions, one to Manitoba, Canada and the other to Richmond, Virginia. They are loved by their children and grandchildren who loved them deeply in return. They lived by the motto that Grant espoused and was often heard to repeat, even during the serious health challenges in their declining years, "It's a great life." They were preceded in death by grandchildren Keyton Lovell, Nicole Jackson and great-grandchild Matteo Niccoli. They are survived by children Judy J. and Stephen Jackson, Anita J. and David Charles, Ronald G. and Sheri Jensen, Virginia J. and Keith Lovell and Kimberli J. and Brian Allred (deceased). Funeral services will be held at the chapel on 360 North 630 West, Spanish Fork, on Friday, October 12, 2018 at 11:00 a.m. with a visitation from 9:00 - 10:30 a.m. Interment at the Spanish Fork Cemetery. 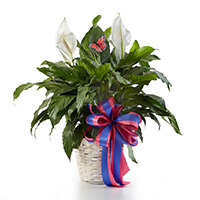 In lieu of flowers, donations may be made to the Perpetual Education Fund of the Church of Jesus Christ of Latter-day Saints. 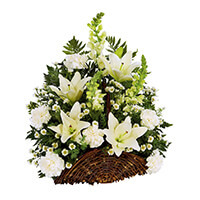 To send flowers to the family of Edna Cook Jensen, please visit our Heartfelt Sympathies Store. We encourage you to share any memorable photos or stories about Edna. All tributes placed on and purchased through this memorial website will remain on in perpetuity for future generations. 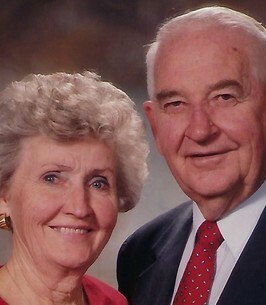 Grant and Edna were great examples to everyone around them! Prayers and hugs for the family!